I am a bitcoiner. My focus in bitcoin has been spreading user & merchant adoption in order for more people to have economic freedom. I run bitcoin meetups in California, help people open wallets, ask merchants to start accepting bitcoin, & host the bitcoin cast show, where I interview people from around the world who spread bitcoin adoption. There is something that most of bitcoiners do not know about me, however: I used to be an SV supporter. I know this might be a shock to some of you. I did keep quiet about my political stance on twitter and my show during the hashwar. I didn't want that to get in the way of spreading adoption and push away ABC supporters who were doing so. Why am I writing about this? I think SV supporters were cheated when they were promised no split, but were led in to one anyway instead of trying to win again with better strategies (whoever lost the ticker symbol is in fact the one that split off). Also, It appears to me that most SV people have become bookclub bitcoiners and lost sight of spreading adoption, and the cash use case. Here is my journey. I liked how Craig Wright would talk about capitalist principles in bitcoin, and how he would describe mining in objectivist terms using game theory like no one else could. I also enjoyed listening to the BCH Boys podcast (now called Bitcoin & Beyond), their white paper series, and what they had to say about bitcoin. I counted down the days till the hashwar as I watched the percentage of SV miners go up on coin.dance. The r/btc sub on reddit had gone full ABC for some reason, and were constantly spewing out ausie man bad. Absolutely disgusting. The day finally came. I woke up extra early to view the hashwars.live coverage in my area. I enjoyed watching Alex Fauvel, Reina, the BCH Boys, Craig, and Ari talk about sharkpool. I did watch a litte bit of the ABC stream too. I remember hear Chris Pacia say "I don't even care who gets the most hash", and Emin complain about how bad SV was without giving an argument against a blocksize increase or original op_codes. Roger's reaction had me supprised, however. For the longest time he had kept silent about which side he was on (which I respected him for), until he released a video of of himself reading a nasty email that Craig Wright sent him. It seemed that he made his decision bassed on Craig's bad character, rather than by evaluating the technical merits of each proposed upgrade. Then, out of nowhere, a bunch of hash power came over to help the ABC side. It was so much, that it out surpassed the SV hashrate by far. The reorg, and the satoshi shotgun did not come through as promised, and one by one exchanges started to give the BCH ticker to ABC when it became obvious that they had outhashed their competition. SV had lost the hashwar. In the days that followed, I did some searching. Why did SV loose? The best explanation I heard was from Vin Armani. 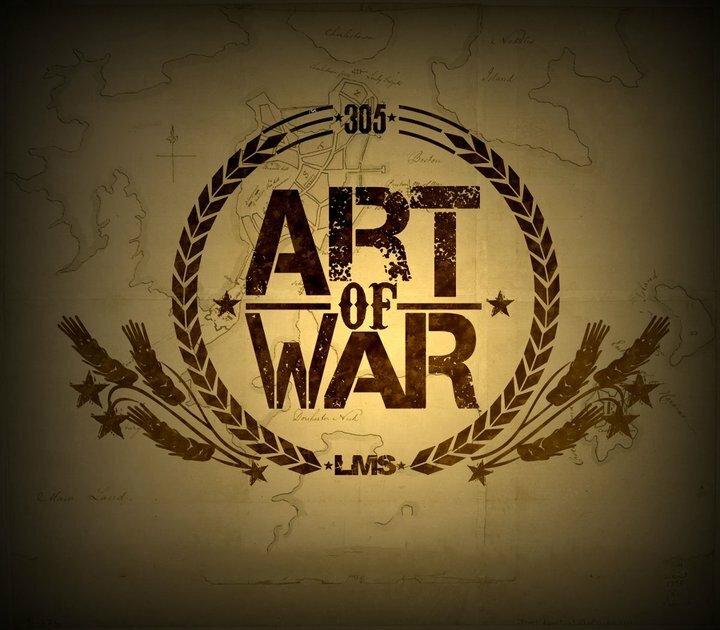 He said it was because that the SV side announced their battle plan to everyone, while the ABC side kept quiet about what they had prepared to win the war. I was disappointed with the SV battle strategy, and hoped they would try again with better strategy to win the next battle for bitcoin cash, but that did not happen. SV miners just kept burning hash power. Instead, they announced that they were splitting and moving on. I felt let down by the SV side that they would be content to split rather than try again for the ticker next time. Feeling a deep sence of loss, I wandered around around aimlessly in the cryptospace checking out different project like litecoin, cryptokitties, monero, dash and so on. I still had bitcoin meetups I was running, and I still had the bitcoin cast YouTube series I was doing, so I had to come with the best course of action of what to do in my position: continue to use bitcoin cash as a tool to promote crypto adoption (since you can spend it lots of places), but continue to hold my SV coins as an investment. I told this to Kurt Wuckert, and he thought this was a good idea. Meanwhile, I kept interviewing BCH supports on my show and doing the BCH meetups. Few people knew that I was a closet SV supporter. I tried to find someone else from SV to come on the show to talk about how they were dealing with the difficulty of increasing adoption while starting from ground 0, but I could find anyone. It just wasn't happening. The more I thought about it, the more I started liking Bitcoin Cash: its developments and community. After going through the 5 stages of grief, I can finally say that Bitcoin Cash is the most legitimate contender for the bitcoin spot, and it is the real bitcoin. Why? Because between the two bitcoins that can scale, bitcoin cash has the most PoW by far, and is aiming to be p2p cash for the world. The network effect is hard to deny. I have a deep sence of urgency for p2p cash take over the world. Starting over from bitcoin core was enough of a setback. I cannot afford to start over from another split. Economic freedom for the world cannot come soon enough. The time has come for you to reevaluate your role in bitcoin? Are you content to just be a bookclub bitcoiner, or do you want see p2p cash grow to worldwide adoption? If anyone wants to discuss these ideas with me, I'd be happy to talk about it. After some feedback, I'd like to clarify that there is no rule against more efficient use of capital. The only thing that I would consider to be dishonest hash would be either stolen hash (as obtained by hacking), or hash being used to pull off a double spend attack. Also, Even though I am with BCH, I'm still critical about making potentially harmful changes to the protocol. Yes, there were some shady things about both sides during the war. I'm not too worried about governance though, as every player in the ecosystem must recon with game theory principles, and free market forces. I'm more concerned about spreading adoption of p2p cash to the world. Also, thank you to checksum, imaginary_username, and other Bitcoin Cash people who took the time to explain the technical thinks to me. There's so much to learn about bitcoin that it seems endless. 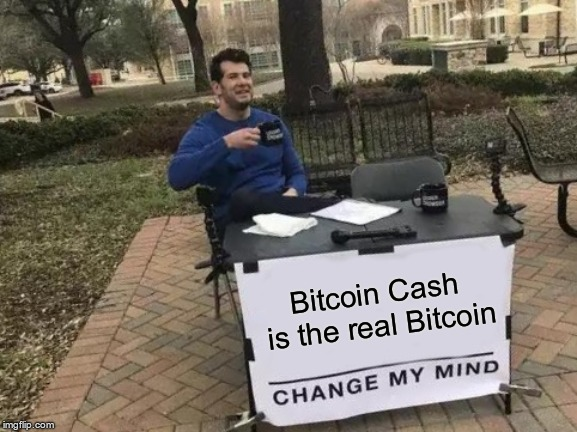 Again, Bitcoin Cash, because not only does it fulfill my value proposition, but it is the real bitcoin objectively because of the most accumulated Proof-of-work. Until then, I'm not going through the 5 stages of grief again unless BSV surpasses BCH in PoW. I do see this unlikely though, as BCH has the rear-view mirror advantage, and can also do large op returns if that's what it takes for it to stay ahead. For crying out lout... BCH no longer WORKS as per the Bitcoin white paper... BCH no longer has the same rules of the system... it is therefore a DIFFERENT SYSTEM. I can't believe that there are so many really dumb people on this planet, even majority of what I would have considered as smart people in the past, are not that smart at all. I stopped reading after "whoever lost the ticker symbol is in fact the one that split off ". If you use this kind of thinking, now wonder you arrive at such idiotic conclusions. A ticker is nothing more than that; a ticker. The real bitcoin is whatever application that follows the original protocol. BTC : segwit, self imposed limit on block and op_return: NOT BITCOIN BCH : PoSM, Controlled by dev (seen during hashwar), and now this Avalanche stuff: NOT BITCOIN Last contender: BSV: upgrade blocksize (already 128MB! ), op_return activated, bigger and getting even bigger, worlwide decentralized computer: REAL BITCOIN. Who cares about the ticker. For all we know, the real bitcoin is still called Bitcoin. It's just now we have two fake pretender usurping our name. Simple. I think it's less useful to try and convince someone than it is for people to come to their own conclusions. Be wary of people (individually, or in mobs) who try to help you come to their conclusions rather than considering all possibilities. Bitcoin is an idea, not a ticker symbol. I just don't see the current strategies in the BCH ecosystem being conducive to worldwide mainstream adoption. Coffee payments and independent merchants (and the nonsense that is pump-and-dump trading on exchanges) are just one piece of the puzzle but will not bring the transaction revenue that is needed for miners to secure the network over the long term. The BSV ecosystem (not taken as a monolithic entity) definitely has its own problems to overcome.